I wanted to make a gift for my mother’s birthday. 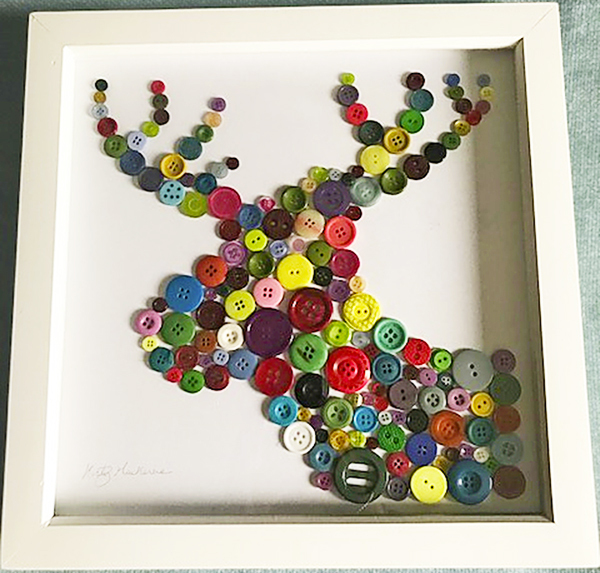 I found some old buttons and glued them together in the shape of a reindeer, before placing it in a box frame. My mum was thrilled with my thoughtful gift and it now hangs in pride of place in her house.